Fill out the enrollment form below to become a member of Slytherin House. In addition to the confirmation you will receive once you've been added to the list, you will also receive a welcome letter from me, Professor Snape. Make sure you read that, as well. Now, go on and fill out the form, and if you are including a link to your site, you must put a link back up to http://slytherins.com immediately after sending in the enrollment form! 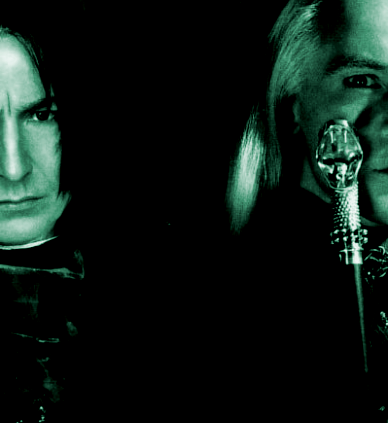 Do not attempt to register with the last name Malfoy, Snape, Riddle, etc., or the corresponding first names (ie. Draco, Narcissa, Bellatrix, Severus, Pansy, etc. ), or anything like Draco's Girl, IloveDraco, Mrs. Malfoy, etc. Provide a believable name, because if you submit anything similar to the examples above, you won't be accepted into Slytherin House. Please use the form below for joining the Students List. Please hit the submit button only once. Your entry is fed instantly into the database, and your email address is checked for duplicates. Passwords are encrypted into the database and will not be seen by anyone else other than you. If left blank, a password will be generated for you.